Now that both Bryce Harper and Manny Machado have both signed their mega deals with their new squads, we can finally take a proper look at MLB regular season win totals. We start with the National League where both Harper and Machado could reside for the next decade. Odds courtesy The Superbook at Westgate. 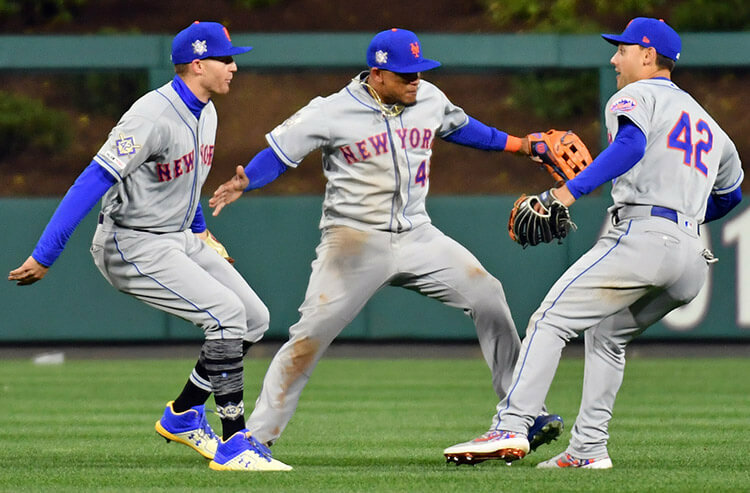 The Braves made the leap in 2018 notching 90 wins while clinching their first NL East title since 2013. Atlanta ranked in the top 5 in the NL in runs scored and ERA. The lineup anchored by Ronald Acuna Jr. and Freddie Freeman could get a real boost if newly acquired Josh Donaldson plays anywhere near his MVP form. And the rotation is solid if unspectacular. If they can land Dallas Keuchel look out. Even without him, the Braves are on the upswing. The Marlins probably overachieved winning 64 games last season and Derek Jeter shipped off the team’s final remaining asset in catcher J.T. Realmuto this offseason (to a division rival on top of that). The Marlins farm system is showing signs of improvement, but the rebuild in Miami will be a long one and the Major League talent is seriously lacking in 2019. At least those new hats and uniforms are awesome! The Mets were an Under bettors dream last year. Great pitching (especially when Jacob deGrom on the mound) and bad hitting. 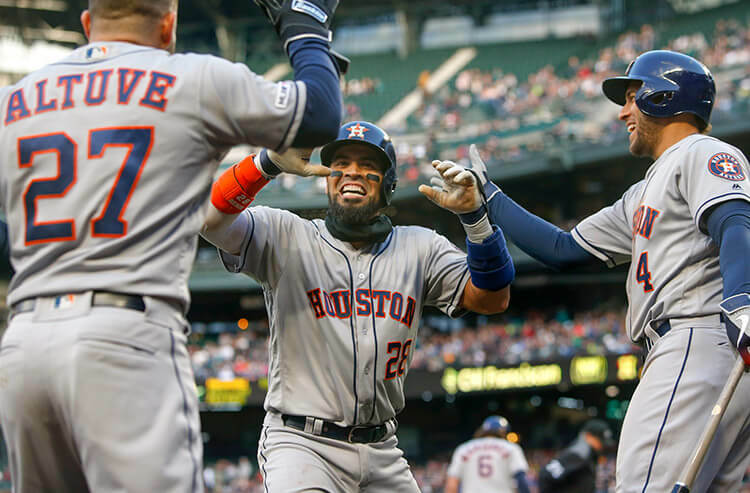 Pitching in Queens shouldn’t be a problem again this season, and they did try to make some improvements to the lineup this offseason, bringing in Robinson Cano, Jed Lowrie and Wilson Ramos. But there are reliability concerns surrounding all those guys and we’re not sure if they are worth nine more wins? We’ll have to see it before we can believe it. Even though they tailed off at the end of last season, another team on the upswing is the Phillies. Like a Rhys Hoskins launch angle home run angle kind of upswing. They might have the deepest lineup in the NL after adding Andrew McCutchen, Jean Segura and Realmuto to join incumbents Odubel Herrera, Maikel Franco and Hoskins. They also upgraded the back end of their bullpen by signing David Robertson. 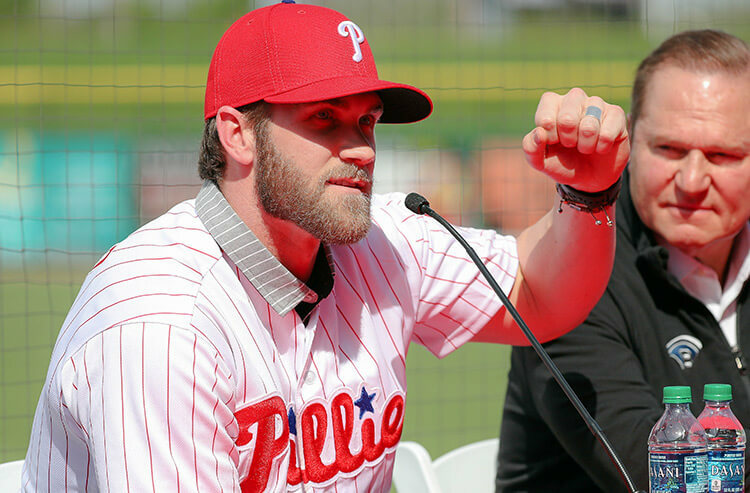 Oh, and they just signed some dude named Bryce Harper. 2018 was a disaster for the Nationals. They won just 82 games despite being the favorite to win the division and the “Will Harper be moved” discussion overshadowed the whole season. And while the Harper era is over in nation’s capital, that doesn’t mean they won’t be a solid team in 2019. A great rotation got better with the addition of Patrick Corbin. Juan Soto is a superstar in the making and they added veterans Brain Dozier and Yan Gomes to lineup that still has Anthony Rendon, Tre Turner and Adam Eaton. That said, the division has never been tougher, and the bullpen leaves a lot to be desired. Living up to expectations can be tough. The Cubs won 95 games last year and the season was considered a disappointment. But there’s no reason to think the Cubs won’t be in the mix for another NL pennant this season. Their lineup is dangerous from top to bottom (if your name isn’t Jayson Heyward) and if Yu Darvish is healthy not many teams can match their rotation one-through-five. Let’s just hope Joe Maddon doesn’t get in their way. The Reds had one of the most interesting offseason of any Big-League team. They made a splash sending much maligned Homer Bailey to the Dodgers in exchange for Yasiel Puig, Alex Wood and Matt Kemp. Puig is the big get, bolstering a lineup featuring Joey Votto, Eugenio Suarez and Scooter Gennett. Wood joins a completely reworked rotation with Sonny Gray and Tanner Roark. The Reds showed glimpses last season and definitely upped the overall talent on the roster, but is it enough to make them a .500 squad? That may be asking a little much. 2017 was the year the Brewers made a big offseason splash, trading for Christian Yelich and signing Lorenzo Cain on their way to 96 wins and an NL Central Division title. So, if it ain’t broke don’t fix it. The Brewers made minor moves this offseason, re-singing mid-season trade acquisition Mike Moustakas and catcher Yasmani Grandal. Milwaukee’s rotation isn’t spectacular and could still be in the market for another arm, but it doesn’t need to be. It just needs to get through five innings and hand the ball to the best bullpen in baseball. The Central will be Ultra competitive, but a 10-win drop-off for a lineup this talented seemed like a lot. After a surprising start to 2018, the Pirates made some interesting moves at the trade deadline in hopes of making a playoff push, highlighted by acquiring Chris Archer from the Rays. Archer proceeded to struggle in Pittsburgh and he hasn’t pitched to an ERA lower than 4.00 since 2015. He and Jameson Tallion anchor a rotation that shows promise but lacks depth. The lineup has the same problems, some talent is there, but is lacking overall depth. In a division that could produce three playoff teams this Pirates team looks like it could end up in the basement. Most teams would consider 88 wins a successful season. But not the Cardinals. Success in St. Louis is measured by postseason appearances and the Cardinals haven’t been there since 2015. So, what did they do? They went out and traded for one of the best players in baseball, first baseman Paul Goldschmidt. He’ll anchor a lineup that still features Matt Carpenter and is looking for comeback years for the likes of Marcel Ozuna, Dexter Fowler and Michael Wacha. Injuries took a toll on the Cardinals last season and they still won 88 games. The Central will be a three-way race in 2019 and the Cards should be involved all season. It’s hard to make sense of what the Diamondbacks are thinking. Trading away face of the franchise Paul Goldschmidt, while A.J. Pollack and Patrick Corbin walked out of the door in free agency. The pitching staff also lost Clay Buchholz and it sounds like they are still shopping ace Zack Greinke. Last season the D-backs ranked 27th in batting average, 21st in OPS and 20th in runs per game and now the lineup is much worse. It could be a long summer in the desert. The Rockies won 91 games last season to clinch their second straight Wild Card berth. They did what they usually do, and that’s hit. Only the Dodgers scored more runs than they did in the NL last year and now they’ve added Daniel Murphy to be their everyday first baseman. But the surprise for the Rockies had to be in the rotation. 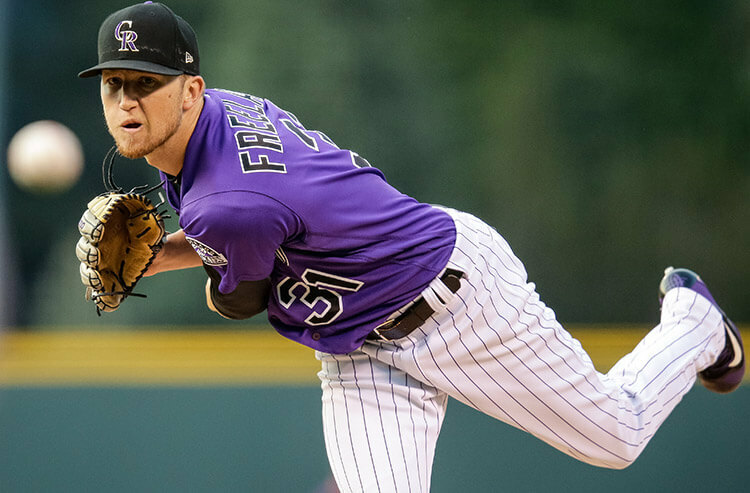 Full of young talent headlined by Kyle Freeland, the Rockies ranked third in the Big Leagues in quality starts. If the Rockies can continue to develop their young arms and see some improvement in the bullpen, they shouldn’t have a problem surpassing this number. The Dodgers have come up just short of the ultimate goal in two straight seasons so its no surprise there were changes coming in La La Land. Manny Machado, Yasiel Puig, Matt Kemp and Alex Wood are all out. And while they didn’t make serious run at either Manny or Bryce Harper they did sign A.J. Pollack to man centerfield, pushing Cody Bellinger permanently to right field. More concerning is the status of Clayton Kershaw’s arm. Luckily, they have depth behind him with Walker Buehler and Julio Urias is close to making the jump. They also get one of the best young players back in baseball in Corey Seager after missing last season with Tommy John surgery. L.A. also shored up the bullpen a bit which was a problem in the Fall Classic. The Dodgers are going to be good, but 94 wins is a lot. A number they’ve reached just twice in the last six years despite all those great teams. What a get by the Padres. Bringing in Manny Machado to pair with the best farm system in baseball, headlined by Fernando Tatis Jr., was a stroke of genius. The infield also includes Ian Kinsler and Eric Hosmer is full of Gold Gloves. But all you have to do is look at the rotation to see the flaw in this team right now. The Padres ranked in the bottom third of the league in most pitching categories and help isn’t coming on that front yet. The future is finally bright in San Diego, but it may still be a year away. What to make of the Giants? It’s always hard to tell what they’re going to do. They made a failed attempt at Bryce Harper which would have given this aging roster a boost. Without him its hard to envision them having a very successful year. Maybe Madison Bumgarner and Jeff Samardzija can bounce back, but Johnny Ceuto is likely out all season with Tommy John. The rotation does features young standouts Derek Rodriguez and Chris Sutton. Either way, the offense is non-existent. Buster Posey is starting to age like a catcher and while there are still some good all-round players on this roster, there is no depth and no help coming. If you could get a clear read on the front office this might be an easier number to peg, but they seem to always want to push back the inevitable rebuild. And with guys like MadBum still on the roster this number is a tad low.